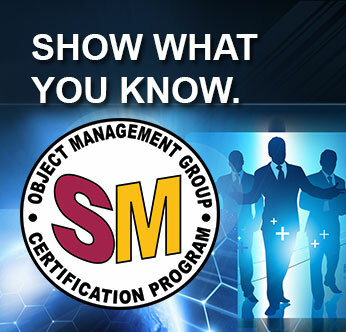 The OMG-Certified Systems Modeling Professional™ (OCSMP™) Certification program awards four levels of certification, arranged in a single hierarchy, based on four multiple-choice examinations. Program details including the exact array of exams, their levels, names, and topical coverage have been determined by our committee of SysML domain experts, and the examinations are available from our test delivery company, Pearson VUE, in their worldwide network of testing centers. These levels, termed OCSMP Model Builder - Fundamental, Intermediate, and Advanced, cover advanced topics with an emphasis on the interconnectedness among the different model viewpoints that gives MBSE its advantage over conventional engineering methods . OMG certification examinations - for OCSMP for System Modelers, and our programs OCEB 2™ for BPM, OCUP 2™ for UML, and OCRES™ for Real-time and Embedded - are administered by Pearson VUE at their world-wide network of secure testing centers. OMG and the International Council on Systems Engineering (INCOSE) worked closely together on the original development of SysML, and we are very pleased that this cooperation extends to our certification programs. 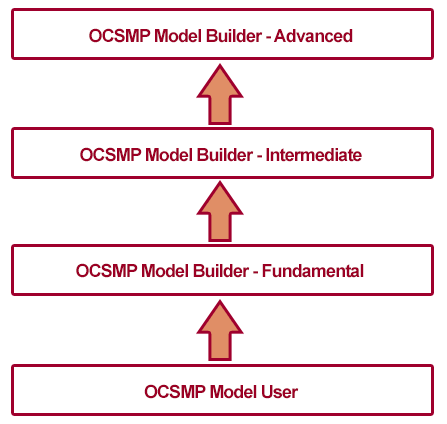 OCSMP covers SysML and its application to Model-Based Systems Engineering (MBSE), making it complementary to INCOSE's comprehensive SE certification program CSEP. INCOSE helped recruit OCSMP question-writers and beta-test takers from their membership during program preparation. Our two organizations also plan to mutually recognize candidates who acquire both CSEP and OCSMP certification, although no certification from one organization will be a prerequisite for any from the other. OMG® is an international, open membership, not-for-profit computer industry standards consortium. OMG Task Forces develop modeling and integration standards for a wide range of technologies and an even wider range of industries. OMG's Model Driven Architecture® (MDA®) supports the complete application lifecycle from design, through development and deployment, to maintenance and evolution. Modeling standards including the Unified Modeling Language™ (UML®), Business Process Modeling and Notation™ (BPMN™), and the Systems Modeling Language (OMG SysML™), enable powerful visual design for software structure and behavior, processes in software and business, and virtually every type of system. OMG's middleware standards and profiles are based on the Common Object Request Broker Architecture (CORBA®) and support a wide variety of industries. The UML Technology Institute Co., Ltd.(UTI) was founded to promote the use of open, standards-based modeling technologies through the development of international certification programs that provide formal recognition of modeling expertise. With headquarters in Tokyo, UML Technology Institute was established in November 2002.